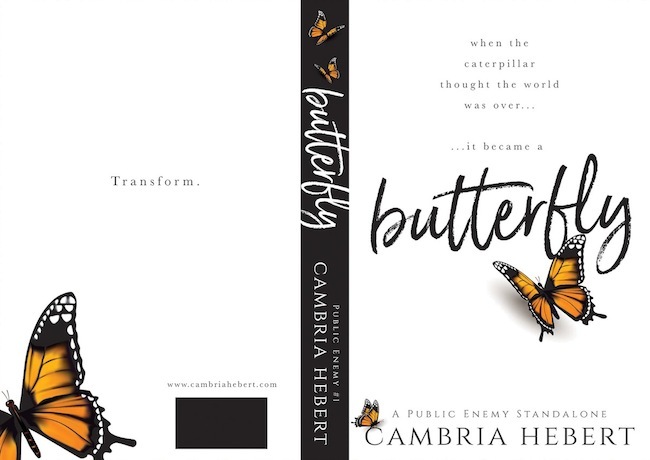 I’m so excited to share with you the cover of Cambria Hebert’s latest book Butterfly! I’ve been a fan of Cambria ever since I read her Hashtag series and I already know that I’m going to love this new standalone. Cambria just has a way of bringing characters to life that I just can’t get enough of. Go ahead and check out the synopsis below and I’ll attach buy links as soon as they become available.